Was described by Dr. Doreen Virtue PhD. as "A naughty elemental, who is a gifted and compassionate clairvoyant and medium"
An example of the angel jewellery made by us, always charged with Reiki before sold. We stock a very extensive range of tumbled and natural crystals. 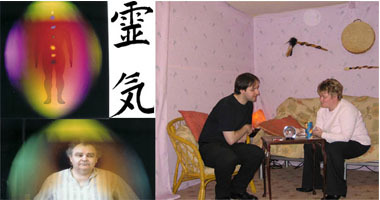 We provide mediumship readings, aura photographs, crystal healing, Reiki Healing, workshops and coming shortly paranormal investigations. We stock an unique range of angel jewellery, including small angel pendants. Alongside these, we make a range of large angel pendants. 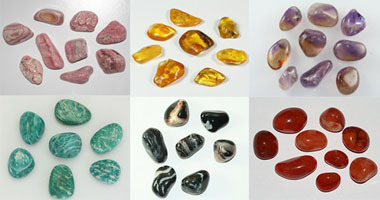 We also stock a very wide selection of tumblestones. A stunning range of channelled Angel Pendants, all hand made, cleansed and charged with Reiki. All made from lead free and nickel free components. We stock a very wide selection of tumbled crystals, we also stock natural crystals. Please contact us for natural crystals and we will send photos and sizes etc. We make and sell a unique range of channelled Angel Jewellery, all hand made, cleansed and charged with Reiki. All made from lead free and nickel free components. A wonderful present, unique to the person receiving it!!! Following Sylvia's treatment for cancer, she is happily in re-mission, however the treatment has caused lots of side effects and sylvia is taking far longer to recover than hoped for. I would like to start by thanking you for taking the time to go to our website and looking at my beloved angels. I would like to explain how the angels came to be born. When I was working away from home and doing silly hours, I would go to work at 8 in the morning but not come off set till maybe 11 at night. I would then take about 2 to 3 hours to come down and feel grounded. So I would go for a walk twice around the block, have a shower, then sit and meditate. I knew I was being given and angel, but for the life of me I could not work out what I was meant to be drawing it for. I was taken ill in April, it was a Thursday after being sent to hospital because my heart beat and blood pressure were far too high. They initially thought I had “white coat syndrome”, as I was trying to join the gym. No matter how they tried, it kept on going up, in the end the gym person phoned my doctors and was told that my hubby was to take me straight to A&E. By the time I arrived there I was tachycardic and admitted to a ward. On the Friday morning it was confirmed I had had a mini stroke and that I had to re-look at my life style and to rest. But being me, I came home, packed ready for my weekend shift at work. It was Easter and I knew we be short staffed if I did not go into work, as we were scheduled to work shifts a month in advance. My hubby would not let me drive the two and a half hour journey to work. I went in and got ready to go on set, and it was decided by the producer that I would start on the front desk for an hour. We went to air within minutes of me sitting down. 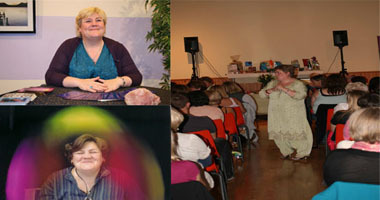 As I re-opened the show with the normal “Good afternoon, welcome to Psychic and Soul”, that was all I could get out! I knew where I was, but could not get my words out. I apologised to the viewers and explained that I had had a mini stroke. Within 5 minutes Demian had told the producer to take the show off air to a break, and to call my hubby back to take me home. My hubby knew I wasn’t fit for work and that there was no budging me and had waited around the corner in the car. So within an hour I was on my way back from Milton Keynes to my home in Lincolnshire. On the way home my boss called, and went mad, telling me “To get back on air! As I was costing the company money!”. I remember coming home in a daze, wondering what we would do for money, as my hubby had had a nervous breakdown and could not work. My work colleagues were all very good and phoned me to check on how I was getting on. I was told that I would be off sick for a while. So I went to bed feeling that I had let everyone down and no good for anything. On Sunday my friend Rachel phoned to say she was coming around with beads for me, and if I could not work then I could make jewellery! I remember that I could not get my words out, but could also not believe how spirit worked. Rachel brought a big bag of beads, beading wire etc. etc. And now as I write this, I know that what I was doing was not right. That the good intentions I had when I started and that the false promises that I had been given that the show was not all about making money for a few people and that I would be able to pass on spiritual knowledge were not being fulfilled. That this and the hours had brought on the stroke, and to this day I am still tachycardic. So from deep in my heart I know that hard things get, if you truly believe in spirit, that spirit will find a way to help you get by. So this is how the first angel was made, with love and understanding. This angel is the angel of hope, that if you truly believe, Spirit will help you find a way to achieve what you are meant to achieve. Once we had made one angel, things sort of fell into place. I then sat and meditated on each colour and was given the meanings; this was over two years ago now!! 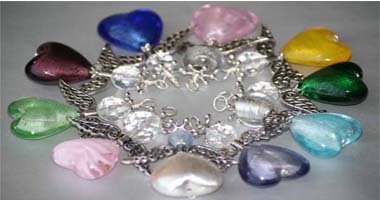 The last angel to complete the set was a silver angel that we call Tia’s Angel, named after my grand daughter. This came about during my daughter’s labour, which after 16 hours things went very wrong, and it was touch and go whether she would survive. I was crying and getting ready to go into theatre with my daughter, as she refused to go unless I was in there with her! As we ran down the corridor to the theatre, a beautiful silver angel with purple around her appeared to me. The Angel ‘fear not, all will be well’, and that was on 27thJune at 22.14. Ever since that day, I have believed in my angels even so much more than I had done before, and have been told some wonderful stories by people who have worn them and been protected by them. A lady that I worked with bought her mother one as a birthday present. As she was opening a tin can that had been stood in boiling water, the tin exploded. From the description of how the tin exploded, she should have had her face and hands burnt by the contents. However she had no injuries apart from a small mild burn on her thumb. Another lady who used to watch me on TV, would phone and text the show. Her daughter with severe health issues, would also watch, I would wave and say hello to them. In a reading I was given that I should send her an angel. This I did, she still wears it to this day, but when I was on set the little girl would hold the angel and get very excited, something she had never done before. A young man asked me to make him and angel to hang in his car. Whilst it was hanging in his car he had an accident, where a drunk driver jumped the lights and hit his car head on. When the police couldn’t believe that he wasn’t killed, and said to him that they ‘didn’t know how he had walked away with just a few cuts’. He replied ‘I do’, and pointed to the angel in his car’. I have made angels to go on the head collar for a horse that was very “skitty”. Joanne his owner soon linked that if she hooked it to Rocky’s head collar, the horse would be calm and a joy to ride. If she forgot to put it on the head collar the horse would play up and be almost un-rideable. 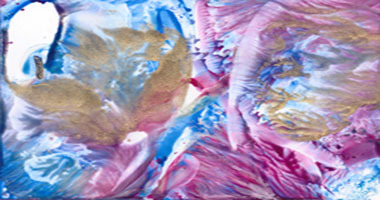 All the angels are washed in spring water, left in the sunlight or moonlight to cleanse and charged with Reiki Energy. If you would like further information regarding our products, services, or availabilty for charity events. Copyright 2012.Working4Spirit. All Rights Reserved.